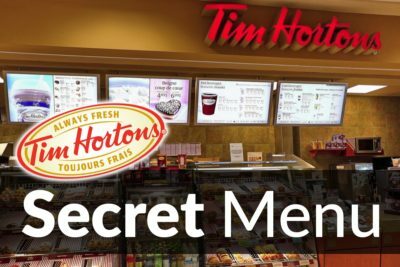 The Tim Hortons secret menu is one of the biggest we have. That might come as a surprise, as most of our readers assume that the biggest secret menus come from the likes of KFC and McDonalds. But the truth is that few chains have embraced the secret menu culture like Tim Hortons, which makes them one of our personal favorites. In many ways, this is similar to the mammoth Starbucks secret menu and can be seen as an extension of the somewhat smaller Dairy Queen secret menu and the Dunkin’ Donuts secret menu. 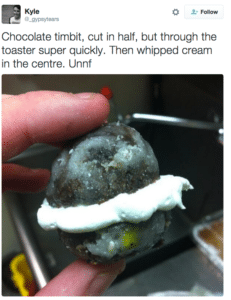 The reason the Tim Hortons secret menu is so big and so unique is because their servers will do anything for the customers (within reason, of course). Whatever you request, they will do it. If you’ve ever suffered the frustration of ordering a secret menu item only to be given a confused stare in reply and told that it’s not possible, then you will appreciate how good this is. As an example, the image on the left is of a very strange concoction that was put together by a Tim Hortons server at the request of a customer. This customer posted the image on Twitter, and as you can see from the Tweet, the order got oddly specific. Because of this, there is nothing stopping you from creating your own Tim Hortons secret menu items. We have some of our own secret menu hacks below, as well as some other field-tested hacks. But if you find any interesting ones yourself, be sure to get in touch or to hit-us-up on Facebook and let us know. We’re always on the lookout for Tim Hortons new secret menu items. What is on the Tim Hortons Secret Menu? What better way to start the day than with a burger? It might not be a traditional breakfast food. But it’s on the breakfast menu, and who are we to question that? This carb-heavy meal will keep you fuelled until lunch, and can be ordered with all kinds of sides. And if you order it with a hash brown, you can get it in the burger. You could do this yourself, but why get your hands greasy when the server will do it for you? Just order your breakfast burger, ask for a hash brown and then request that they put it in the bun. This is a common hack, from what we can gather, so it might not even get you a second glance. You can also get some extra cheese, extra sauce or anything else you want on there. The beauty of this breakfast staple is that it pretty much works with anything and is great for any time of the day. 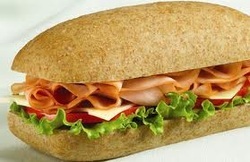 It is the little black dress of the sandwich world. 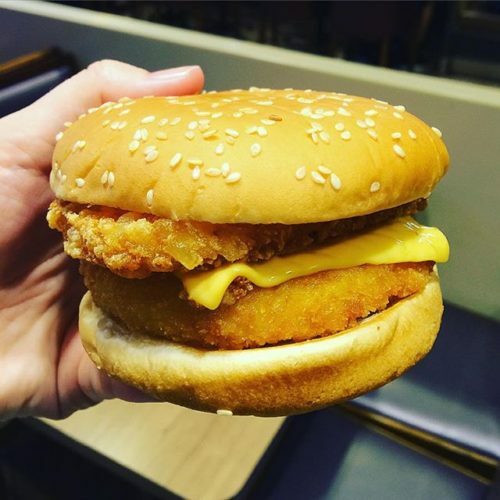 While the addition of a hash brown can complement your breakfast sandwich, there is also a secret menu hack that can make you question your existence. If you’re feeling adventurous, order a breakfast sandwich on one of their donuts. 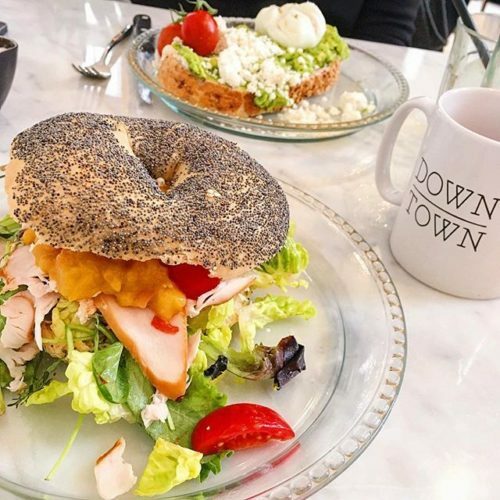 They will slice the donut, put the breakfast fillings inside and then serve you something that gives you all of the sweetness of a donut, all of the cheesy, eggy gooeyness of a breakfast sandwich, and an experience that you are not going to forget in a hurry. As bad as this sounds, there could be a mind-blowing donut/breakfast combination out there just waiting to be discovered. So, try it yourself and see what you can come up with. It worked with peanut butter and chocolate. It worked with maple syrup and bacon. Maybe donuts and breakfast sandwiches are the next big thing. 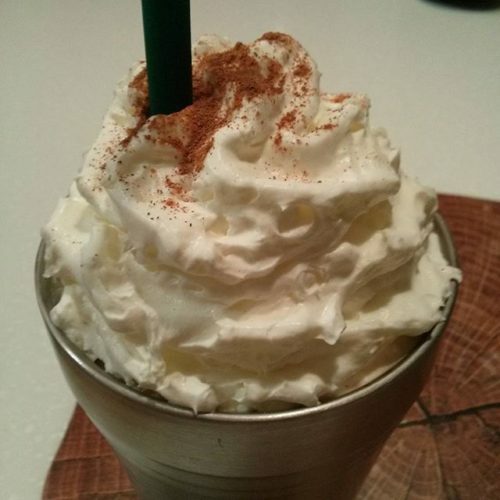 The are countless drink hacks on this site and most of them are focused around Starbucks. You might have tried a few of these yourself, like the Undertow, the Undertow 2 or the Strawberry Lemonade. There are also many such hacks on the Jamba Juice secret menu. But did you know that there are just as many drink hacks on the Tim Hortons secret menu? There may not be as many of these centered around coffee as on Starbucks, or on smoothies, as on Jamba Juice, but there are hacks for tea, hacks that can get you affordable variations of popular drinks, and much more. To see these for yourself, read our Tim Hortons Drink Hacks page. Just because there isn’t a Veggie Burger or Veggie Sandwich on the menu, doesn’t mean that one doesn’t exist. You can order a veggie patty in any bun or between any bread. You can also create your own vegetarian sandwich feast. Just load up on egg, cheese, hash brown, kettle crisps, fries and sauce, put it all in a burger and you’re good to go. Of course, if you actually want some vegetables in your Veggie Sandwich, then you’re better off with the patty. Everything tastes better with a little more fat and a little more guilt. If it’s savory, whether it’s a burger, fries or a bagel, cheese makes it taste so much better. If it’s sweet, whether it’s a donut or a danish, then you can’t go wrong with cream. And at Tim Hortons, you can add either of these two to everything that you order. We personally like a little extra cheese on our toasted sandwiches and soups, as well as on our hash-brown breakfast sandwiches. 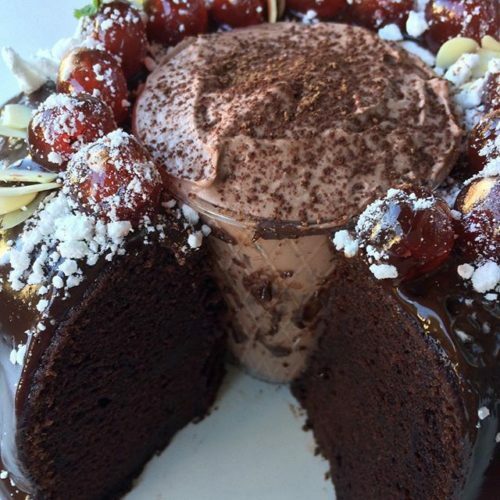 Whipped cream goes great with hot chocolate, donuts and many other baked treats. You can even swap these two around, getting cream on your breakfast and cheese in your hot chocolate. But just because you can do it, doesn’t make it right. It’s not just about donuts at this chain. There are many other baked goods to enjoy, including bagels. These soft, chewy snacks are great for breakfast, great with an afternoon coffee and you can also pack all kinds of sandwich fillings in there. At Tim Hortons, you can order your bagel in any number of ways. There is a lot of variety on the standard menu. But there are also plenty of additional secret menu hacks. There were so many that we couldn’t fit them all into this section. So, to explore these for yourself, checkout our Tim Hortons Bagel Hacks page. Did you know you can create the ultimate instant pasta sauce with a single, cheap menu item? Did you know you can order an entire cup of sweet toppings and then use them to create amazing treats? There are so many extras and menu items you can order cheap, and then turn into something amazing in your own home. And there are also plenty of Tim Hortons specialities that you can recreate in your home kitchen. These are all discussed on our Tim Hortons Recipes page. So, if you’re on a budget or you just like to explore in the kitchen, then take a peek and start creating some affordable awesomeness today. 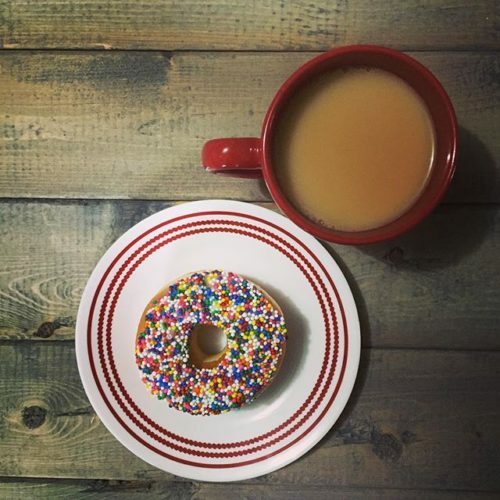 Tim Hortons began by selling coffee and doughnuts and these two staples are still very much a prominent feature on the Tim Hortons menu. The doughnuts are freshly cooked, but like other chains, they are severed when they have cooled down. However, if you can’t resist that warm, freshly baked feeling, then ask your server to stick them in the microwave for you. This is a common request and they know how to heat it so it’s nice and toasty, without overdoing it. This works best for original donuts and glazed donuts. You can also try it with some of their filled doughnuts. But be prepared for a hot, lip-burning surprise when you bite into it. You can do the same with croissants. Even better, ask them to stick a slice of cheese in the middle of the croissant before heating it up.